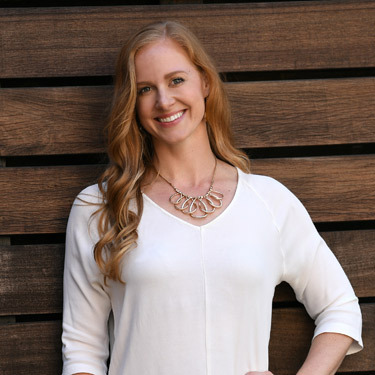 Jules Olson, one of our certified coaches, is a genuine, passionate and courageous leader who is driven to empower others to awaken and harness their “inner badass”. She is a ﬁrm believer that nobody was put on this planet to lead a mediocre life, and that everyone is capable of making their wildest dreams come true. Jules has been a leader and co-host of several ﬁtness groups and online communities in an effort to inspire others to feel amazing in their own skin. She’s a former Musclemania competitor in the Bikini and Model divisions, she’s had the pleasure of participating in multiple ﬁtness photoshoots, and was featured in an ABC News short to share her physical transformation story. Though not currently competing, Jules still loves exercise in nearly all forms, and continues to enjoy rallying groups together for accountability and motivation. After spending so much time in the ﬁtness space, Jules grew averse to the elitist, curated highlight reels on social media which make being ﬁt seem like an exclusive club. She launched a brand, Vibrant as Health, to blog and vlog her personal experiences, and support others in their own goals and challenges. Jules’ latest endeavors have focused on bringing people together to connect in person, rather than online, to create more meaningful relationships, and to help people align with their purpose and inner voice. She has a Bachelor’s degree in Health and Wellness Management through the University of Wisconsin where she was a member of the Honors’ Society, Phi Kappa Phi. Jules is also a proud alumnus of the University of Illinois, with a degree in News-Editorial Journalism. Additional personal development coursework includes a recent completion of Christine Hassler’s eight week Personal Mastery Course, and Lori Harder’s Bliss Habit course. She’s a podcast, audible and book junkie, obsessed with learning and keeping her tools sharp. Jules is dedicated to working with people who are hungry for change and people who are ready to stop settling. She is passionate and committed to helping you discover how “extraordinary” is always just a decision away. Get to know more about how Jules Olson, Houston Certified Life Coach can help you!